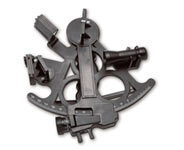 Chart your own course at The Nautical School. We fully prepare you to get your Captain�s License � and more. A must-have in order to legally carry passengers for hire � or if you�d like to benefit from discounts on your boat insurance along with potential tax breaks on your vessel � obtaining your license can be easier than you ever thought possible. Our unique combination of professional, educational and maritime experience means you benefit from teaching methods that are proven and effective. Carefully selected course materials, hands-on experience and state-of-the-art facilities ensure that you learn in a comfortable, stress free and fun setting. Register online and we�ll pay for your OUPV Test (an $80 Savings)! Arrange your own group of 10 or more students and receive a 10% discount on course fees.